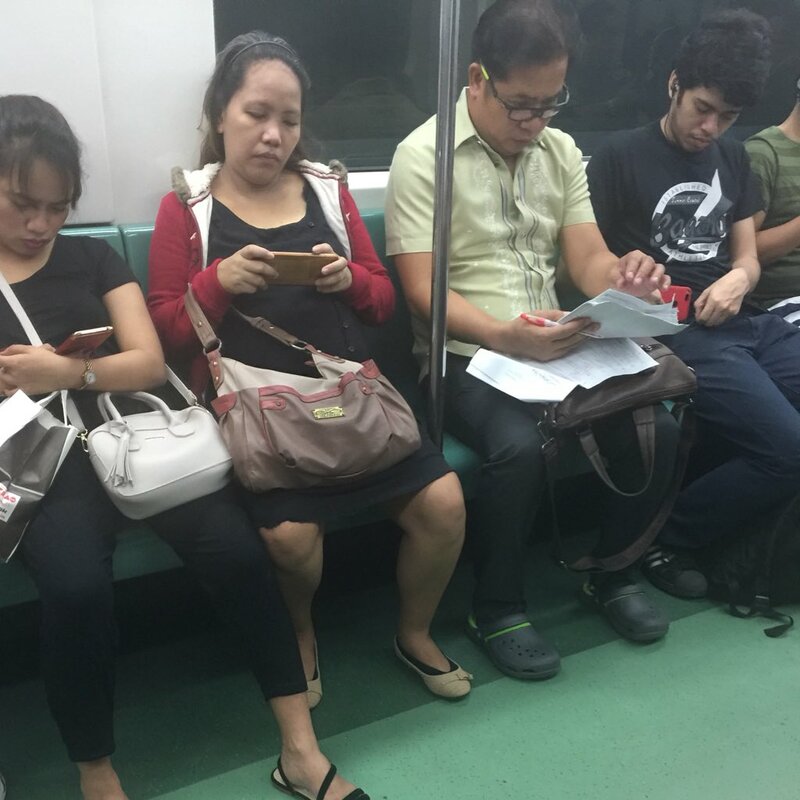 MANILA, Philippines – Netizens couldn’t help but show their appreciation for a teacher who was seen checking test papers even while riding Light Rail Transit (LRT). They say that teaching is really more than a profession but about passion. These dedicated teachers have committed themselves to a job that doesn’t stop when they leave their classrooms. Oftentimes, we hear students complaining about their teachers or the amount of school works they have. But in truth, our educators also have their fair share of sacrifices and hard work that our society needs to appreciate more. On Twitter, Reuben Ace J. Abayabay (@lostsymbol) shared a photo showing a teacher tirelessly checking test papers. But what’s even more impressive is that the teacher was checking papers at 9:00 in the evening while riding the train. I saw this yesterday, almost 9pm in the LRT. A teacher checking his student’s test papers. The Summit Express was able to confirm the identity of the viral teacher to be Sir Joseph Almario of Lakan Dula National High School in Tondo, Manila. The post has gone viral with over 29,000 likes after netizens shared their appreciation for a profession so often overlooked. Sacrificing important events, weekends and even holidays for the sake of being the heroes who will help shape their students’ character and future. Kudos to Sir Joseph and to all the hardworking teachers!